Yes, he may well have sung, as we are wont to do, at the funeral of an old friend. 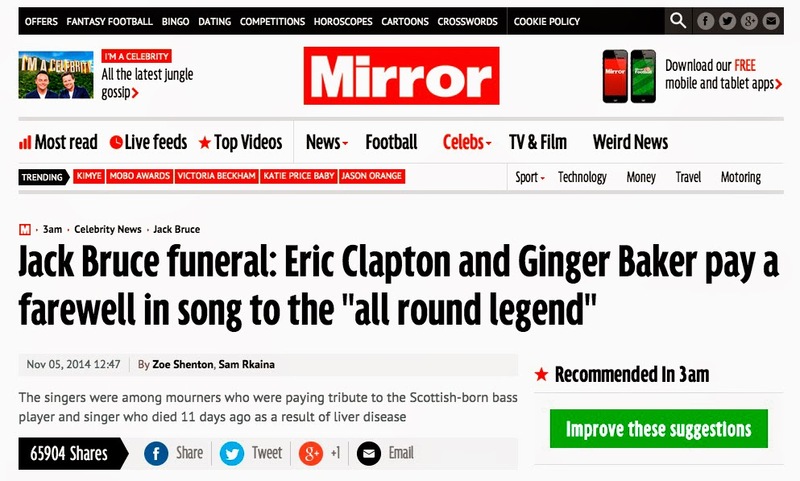 But there's no way on God's green earth that Ginger Baker can be described as a singer. Here's the nearest he got. Not exactly Ave Maria, is it?